The key to success in life is planning. Knowing what is on the horizon allows us to predict what the next few weeks, months or even years will look like. But in the world of land conservation, we are often surprised by what walks in the door or calls on the phone. Fortunately, these “surprises” are usually wonderful, in the form of magnificent parcels of land or unexpected opportunities with conservation partners. True, my nature prefers to know exactly what is going to happen next but I’ve learned to be less rigid and go with the flow. Sometimes the unexpected comes in the form of something that really changes your world. That change for HeadWaters comes in the form of Camp Michi-Lu-Ca, a new land acquisition by the J. A. Woollam Foundation. This former camp is in the process of being restored back to a more natural setting. Through a partnership between the J.A. Woollam Foundation and HeadWaters Land Conservancy we invite you to join us at what will become our next nature preserve and community conservation area. This magnificent property is located in Fairview, Michigan and is the site of this year’s Annual Appreciation Picnic. During the August 1st gathering, we will be unveiling our very ambitious plans for the future and hope to be joined by Dr. John Woollam so that you can hear his story of how all of this came to be. We are very anxious to share our plans with each and every contributor, volunteer, conservation easement donor and partner. 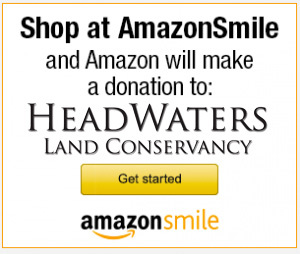 Because of your support throughout the years, because of your diligence and faith, and because of your deep love for the land of northeast Michigan, HeadWaters Land Conservancy now has the opportunity to transform into an organization with endless opportunities and possibilities. There is no better way to express our gratitude to you than to simply say “Thank You” and promise that we will continue to give you our very best. Families Find Fun Geocaching at the Sturgeon River Preserve! Geocaching is a real-world, outdoor treasure hunting game using a GPS device (handheld GPS unit or GPS-enabled smart phone) played by people around the world. Participants navigate to a given set of latitude and longitude coordinates, then attempt to find the cache (container) hidden at that location. Geocaches can vary greatly in size and appearance—they can be anything from a 5-gallon bucket to a film canister. DOVER TWP. 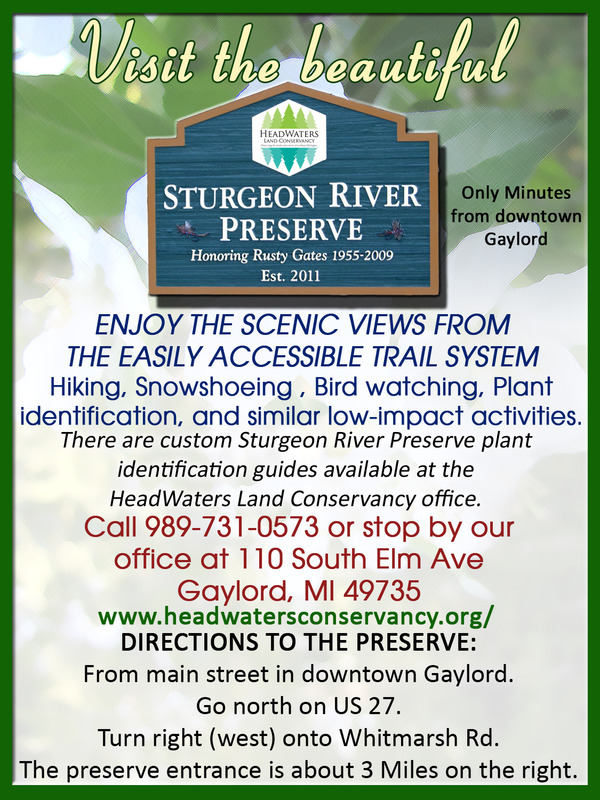 — Don’t have time to hike the scenic trails in the Pigeon River Country State Forest? Don’t worry. Thanks to the HeadWaters Land Conservancy, a 40-acre preserve just west of the Pigeon in Dover Township opened to the public this year and features two short hiking loops.